This weeks photo of Arch is one of my favourites, on Sunday he experienced probably the best day of his life, he is train mad.. like plays all day long with his wooden train track and takes his trains everywhere with him. I have taken him on a train a few weeks ago but it was literally a 3 minute ride and he thought it was the best thing ever, so when we was invited to London for the day I couldn't wait to experience the train rides with him, especially the underground which he just thought was the best thing in the world. 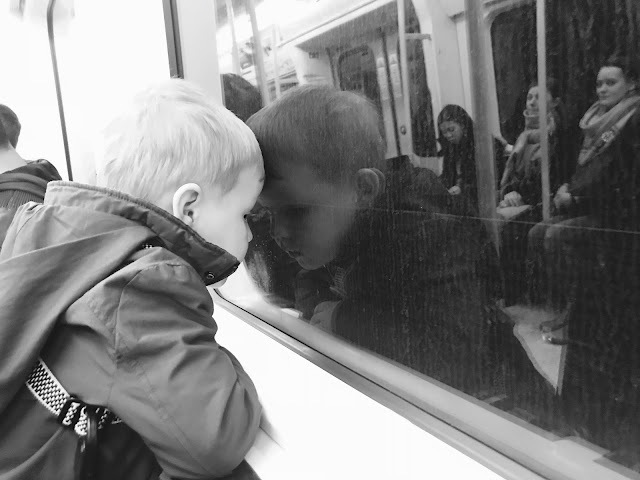 He watched out the window for pretty much the whole way and was so excited at every little thing the train did that passers by even smiled and laughed at him. As for my big girl she was wasn't really feeling being behind the camera this week so I have a distant photo of her on the quad bike, I love how the sun was shining through the trees. 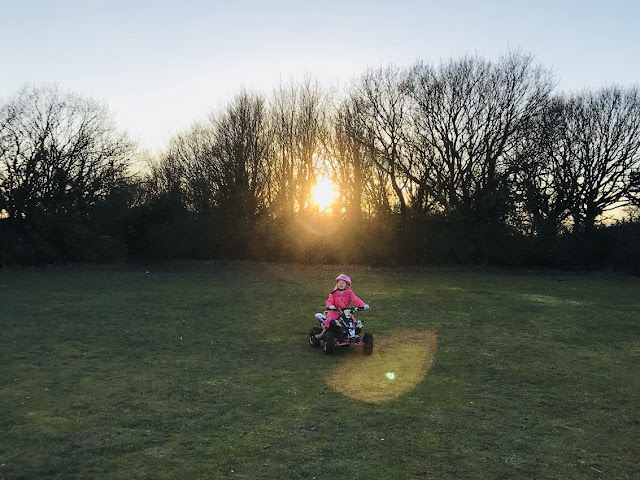 She loves having the freedom and trust to be able to ride her quad bike, its such a lovely thing being able to see her smile and laugh whilst being so innocent, why do they have to grow up?